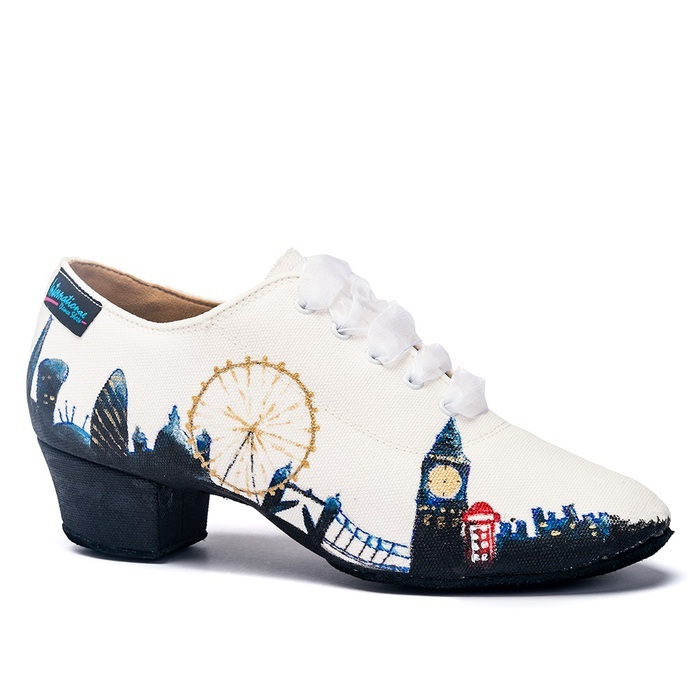 Welcome to London. This design has been painted by hand with sensational detail by our friend Maria Roberts. The style is our popular &apos;Heather-Split&apos; design for Practice & Teaching. 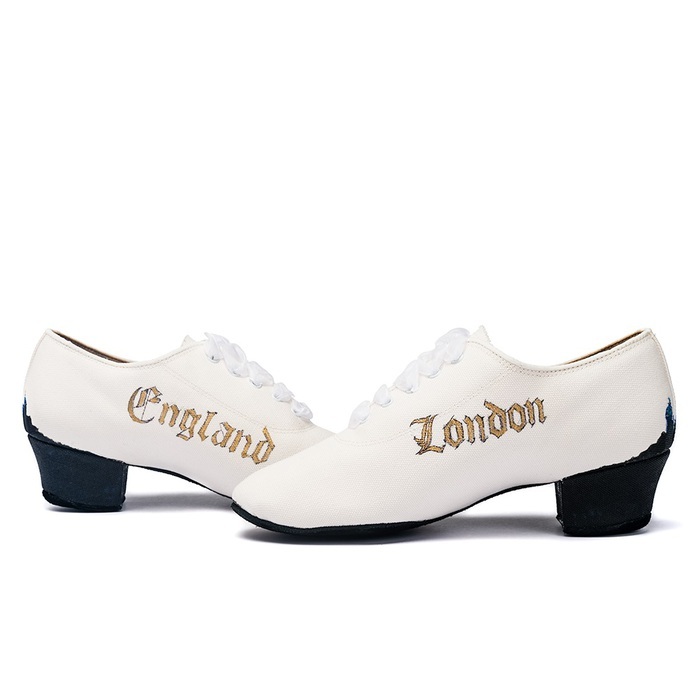 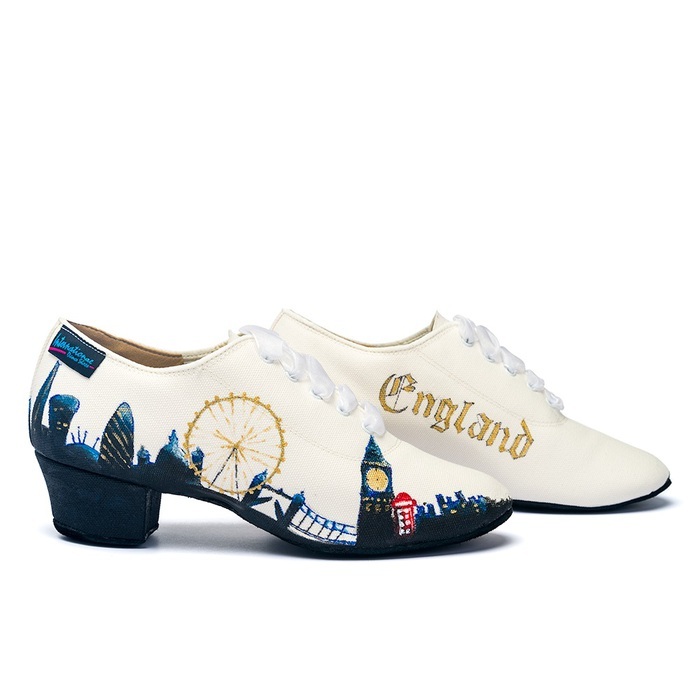 Whether or not you like the idea of actually dancing in these we&apos;re not sure as we know many love the detail so much so that they&apos;ve already been ordered simply as souvenirs! 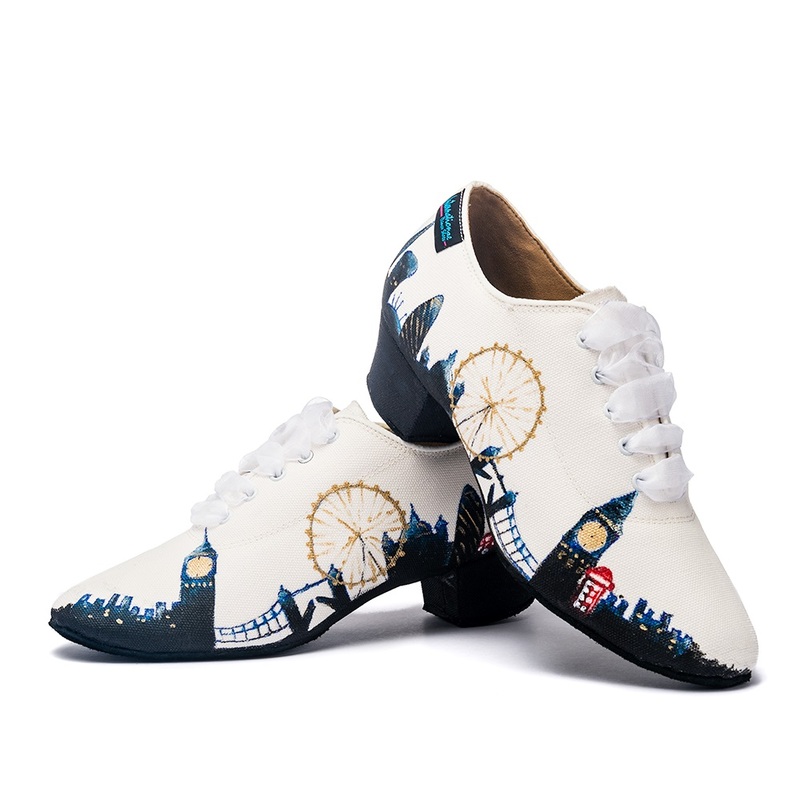 They&apos;re a White Canvas material, hand painted to perfection and you can read more about them by clicking here.